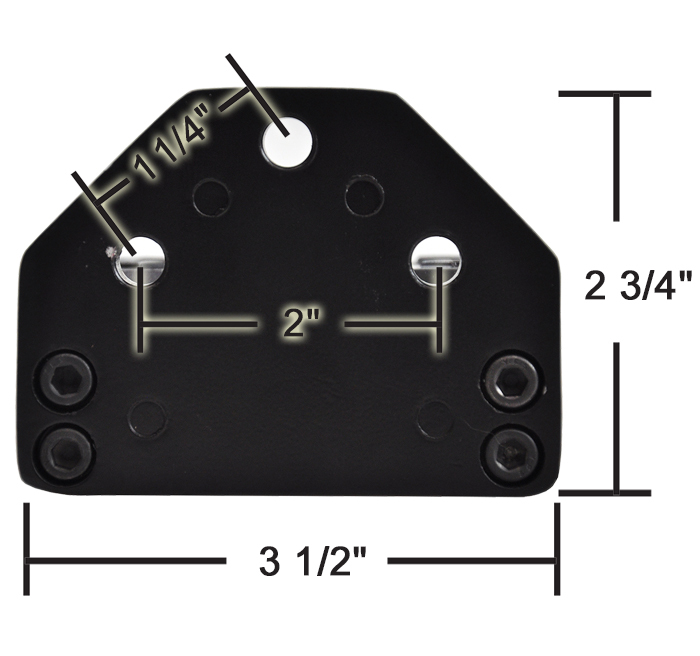 This high quality die cast aluminum filter mount features a billet look without the expensive billet price tag. 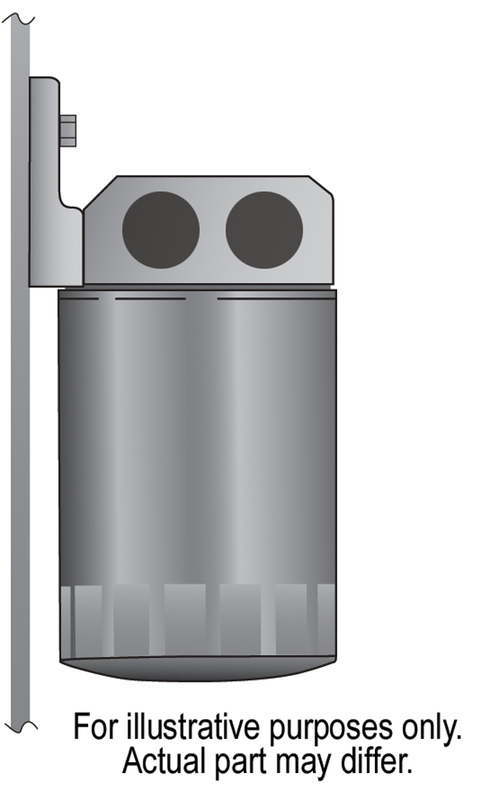 The -10AN (7/8"-14) O-ring inlet & outlet side ports design allows for simple relocating of an oil filter. 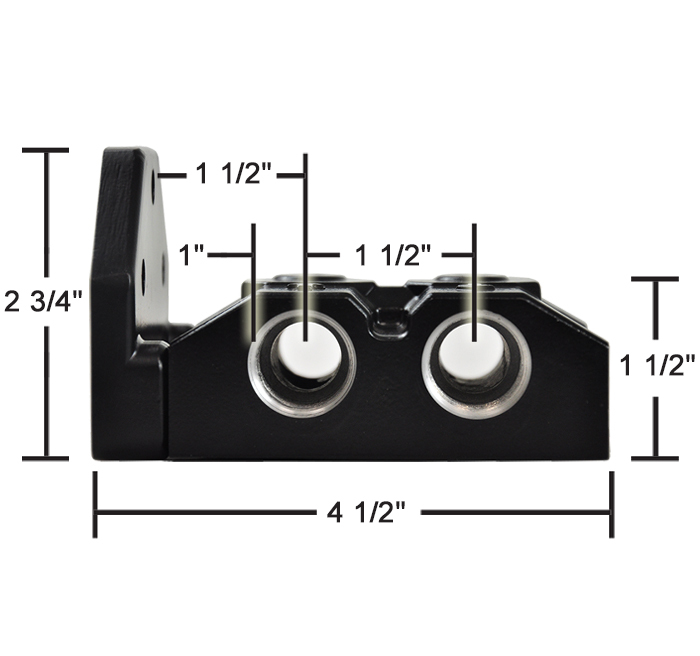 With the 3 hole bracket included this unique mounting system allows mount to be rotated 180°, therefore switching the port locations. 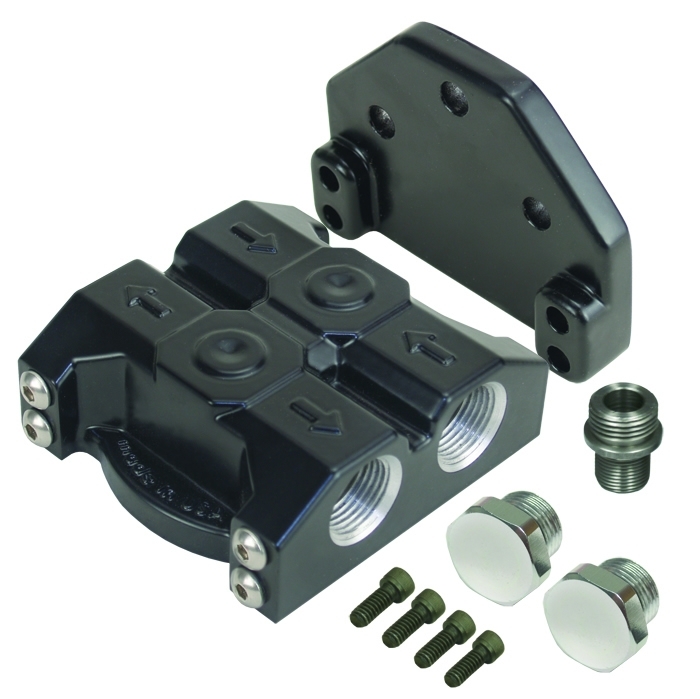 Kit includes two clear anodized aluminum plugs and also features a durable black powder coat finish. Filter mount uses Fram PH13 oil filter or equivalent.